In preparation for Authorpalooza on October 20 at the Hyatt Regency in Wichita, I am updating my novel pitches. Of course, I couldn’t resist doing a search for advice and spent an hour reviewing articles. 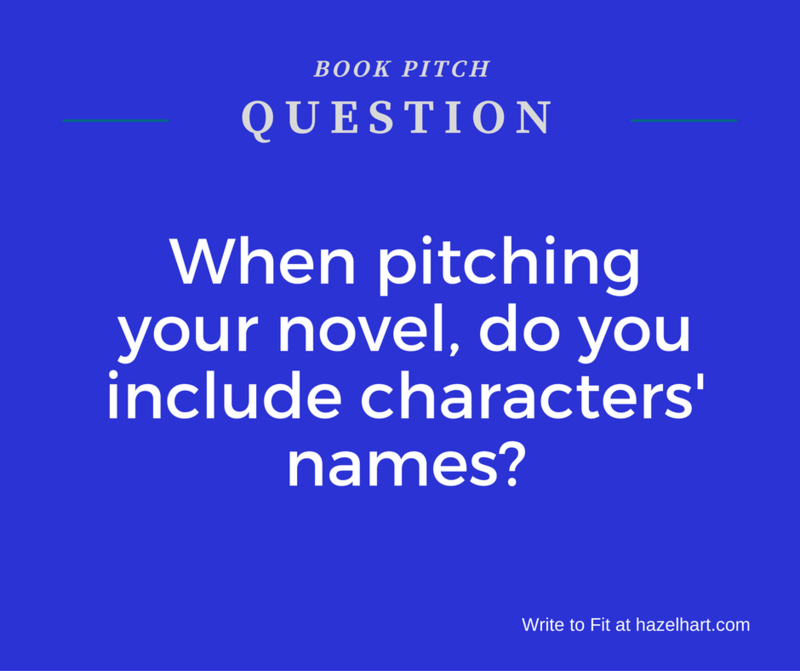 My top choices included two with conflicting ideas on whether characters’ names should be included in the pitch. 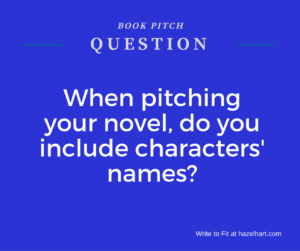 The Friendly Editor had a pitch checklist and some excellent examples of pitches that did not use names. On the other hand, Rachelle Gardner said in an evaluation of one pitch, “I don’t care about her if she doesn’t have a name.” This point is seconded by another blogger. What do you do? Post a comment here or on Facebook, and if you have a pitch with fewer than 25 words, you might post that as well. This entry was posted in Book marketing and tagged Authorpalooza, book pitch on October 12, 2016 by ragnell44.